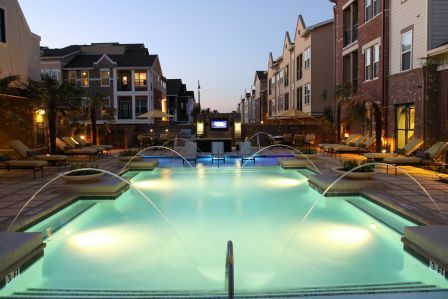 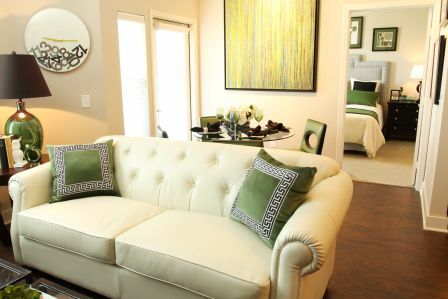 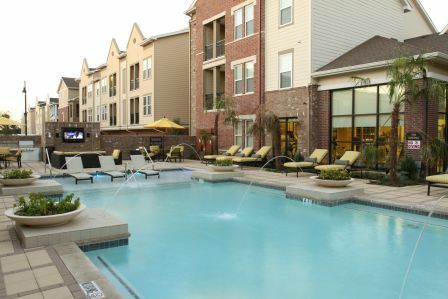 A semi-urban luxury apartment community located at 4200 Broadway, Flower Mound, Texas within the Riverwalk at Central Park master planned community. 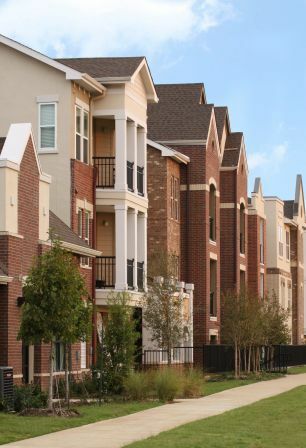 Riverwalk at Central Park is a 158 acre master development in the heart of Flower Mound, Texas and is planned as Flower Mound’s 21st Century Downtown integrating commercial, retail, office, medical and residential land uses within a neotraditional neighborhood complete with a river walk area reminiscent of San Antonio’s famed river walk. 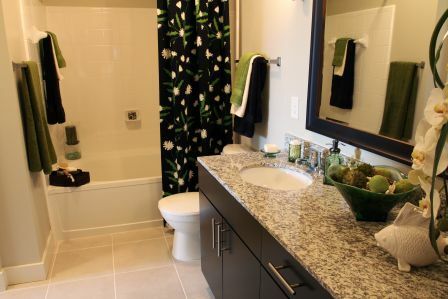 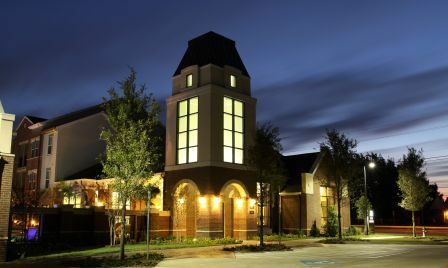 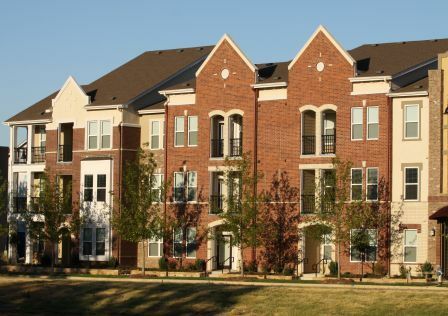 Park Central at Flower Mound Apartments has been designed to meet the diverse and unique needs of the community and to provide the highest quality residential project in the area. 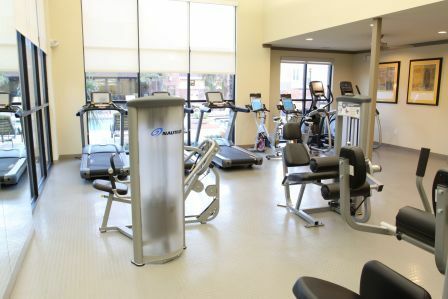 The 7,000 SF clubhouse area features a stunning 12’ glass wall overlooking the swimming pool area, a 2,500 SF fitness center, men’s & women’s spa areas including cool down rooms, private tanning beds, steam saunas, towel service and a massuse room. 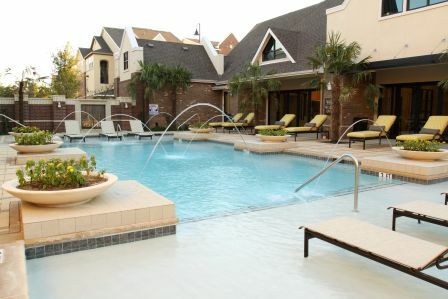 A salt water swimming pool offers two sundecks for sunbathing along with tropical landscaping and outdoor televisions. 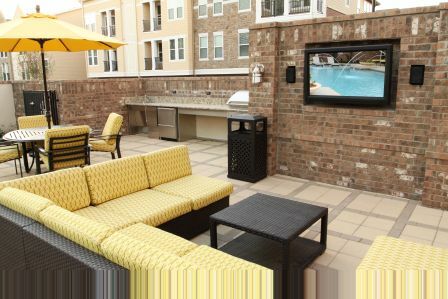 Overlooking the pool area is an outdoor kitchen equipped with a Wolf BBQ grill, refrigerator, icemaker and all the goodies for your dining needs! 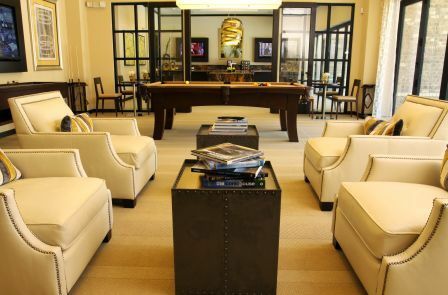 A separate entertainment area is provided to residents featuring a game room including billiards, shuffleboard and computer games. 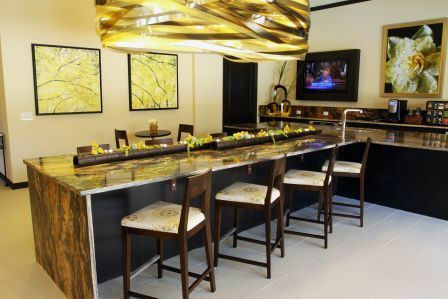 Next to the entertainment area is a gorgeous fully equipped display kitchen with seating for 20 guests allowing the residents of Park Central to entertain their guests. 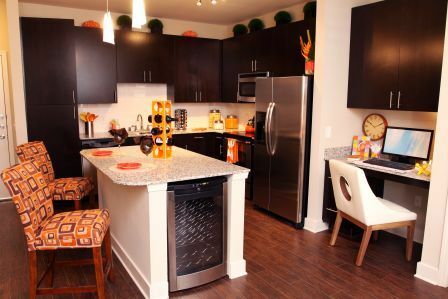 The residential units showcase the commitment to luxury – hard wood floors, stainless steel appliances, side-by-side refrigerators, custom 42” cabinets, built-in wine coolers, 42” oval tubs, granite countertops in the kitchen, vanity and desk areas, built-in decks and many more luxuries await the residents.